Nearly 30 years ago, Capitol Hill Baptist Church (CHBC) was falling apart. Abandoned cars sat in a parking lot surrounded by a drooping chain link fence. Exterior signs were rotting and falling off. The pricker bushes around the property—planted to keep the homeless from sleeping in the yard—trapped beer bottles and trash. And then, in 1999, Anthony Williams was elected mayor. Over eight years, he’d help bring billions in investments to the city. At the same time, the expanding administrations of presidents George W. Bush and Barack Obama added jobs. People began crowding in—last year, the city’s population exceeded 700,000 for the first time since 1975. Today, the average D.C. home is worth $581,000, up from $136,000 in 2000. Violent crime has dropped. 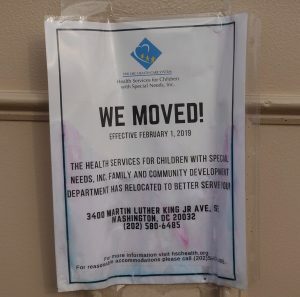 Along with drug houses and abandoned lots in previously under-resourced neighborhoods, you’ll find new condos, Starbucks, and frozen yogurt shops. At CHBC, the garbage is gone—and so are the pricker bushes. More than 1,000 people a week show up to worship under the leadership of senior pastor Mark Dever. On the once-abandoned parking lot, the church plans to put up houses for pastoral interns. But being a gospel-preaching church in a rapidly gentrifying city isn’t all yoga classes and espressos. “It’s really hard,” said pastor Thabiti Anyabwile, who worked at CHBC before planting in an under-resourced—and now rapidly gentrifying—area a few miles away. More than 20,000 African Americans in D.C. were displaced from their homes between 2000 and 2013. Anyabwile is wrestling with how accelerated economic change is affecting his neighborhood—and is trying to help others do the same. Because as more cities gentrify, more local churches are wondering how to respond. 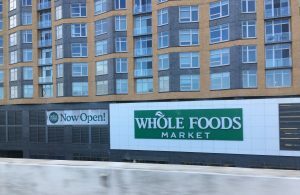 Over the past 50 years, gentrification—first named for the way “middle-class liberal arts intelligentsia” raised the financial and social status of parts of London in the 1950s and ’60s—has swept across the United States, especially in Portland, Minneapolis, Seattle, and Washington, D.C.
Those cities were identified by Governing magazine, which defines gentrifying areas by first finding a city’s tracts with the lowest median household income and home value, then figuring out the growth of median home values and number of adults with bachelor’s degrees. If your area moved from the bottom 40 percent to the top 33 percent, you’re officially gentrified. History had pummeled Anacostia twice. First were the riots following the assassination of Martin Luther King Jr. in the 1960s, which “turned this community from being a working, middle-class, diverse community to an all-black community almost overnight,” Anyabwile said. The other was the crack epidemic of the ’90s. “In some respects, the community hasn’t recovered from those,” he said. You can see it—the “no trespassing or dumping” signs taped on boarded-up storefront windows. The payday lending place on the corner. The bars on the doors and the broken blinds shoved up against the windows and the garbage caught in the fence. But higher rent also squeezes out those who can’t afford the rate hikes. Rising property values means rising property taxes, which sometimes push out longtime homeowners. And predatory practices sometimes mean a homeowner will sell for far less than the property is now worth. 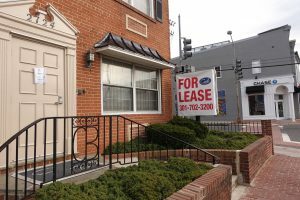 Gentrification also changes the social fabric of a neighborhood, said Mike Kelsey, a campus pastor at McLean Bible Church. He lives outside the city limits, but his father and grandfather both pastored in D.C. proper. His grandmother still owns a home in D.C., in the same neighborhood where she and her late husband raised their family. Her neighbors used to be her friends and their families; now they’re young white professionals who stay inside or wear earbuds on their commute. The network of people who borrow ingredients or watch each other’s children or mow the lawn for the elderly is disappearing. For many of D.C.’s historic black churches, the changes are worrisome. Some black churches have moved out to the suburbs, drawn by their moving congregants and the possibility of unrestricted parking. Others stay and watch their congregations shrink, pressed out by higher rent or a good price for their home. One study suggested that around 25 percent of D.C. congregations have closed between 2008 and 2018. A few months ago, Kelsey asked a room full of African American pastors if they see a role for the black church in raising up leaders for multicultural churches. It can feel like generations of gritty, gospel-preaching, prison-visiting, orphan-caring work is being pushed aside in favor of something newer, whiter, more expensive, Kelsey said. And that can be exacerbated by inadvertently insensitive messages from new pastors that “God is doing something new” in the city, or that the area is finally “coming to life” spiritually. Because as the city draws new people, it also draws church plants. Seven years ago, “there was really only one church [in D.C.] that considered itself in cooperation with the SBC,” Baltimore and D.C. city missionary Clint Clifton said. It was CHBC. Since then, 13 new SBC churches have been planted. In the last seven years, the Southern Baptist Convention has planted 13 churches in Washington D.C.
That’s important, because churches find all types of ways to address gentrification. 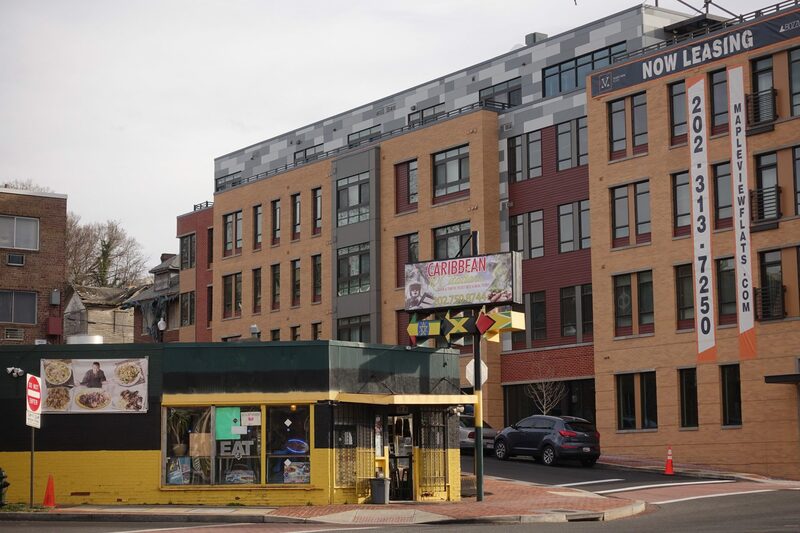 Some advocate for public policy to protect residents—Washington D.C. offers assistance for first-time homebuyers and requires 10 percent of development (of 10 or more units) be reserved for affordable housing. Other churches are buying properties and making them available for people in the community. (CHBC is building 10 units for pastoral interns and visiting missionaries who wouldn’t otherwise be able to afford D.C. rent.) Still others offer job fairs or rent assistance. One of the best things a church planter can do—especially in a changing urban environment—is learn the area’s history. Kwon came to D.C. a decade before Anyabwile planted ARC—first pastoring at Grace Downtown, then planting Grace Meridian Hill in Columbia Heights. 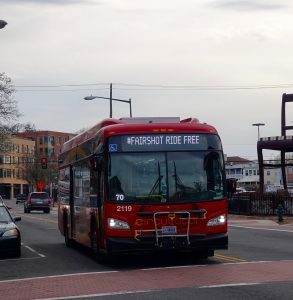 Like Anacostia, the area was ravaged by riots in 1968 and the crack epidemic in the 1980s and ’90s. During those challenging years, numerous African American families remained in Columbia Heights and called it home, Kwon said. The neighborhood “was socially and economically depressed for decades. The so-called ‘turnaround’ began with the city determining to open up a metro station in 1999 and planning a number of local economic development projects.” Today, million-dollar homes sit among low-income housing. The population is “quadrivial,” which means split among white, black, Asian, and Latinos. 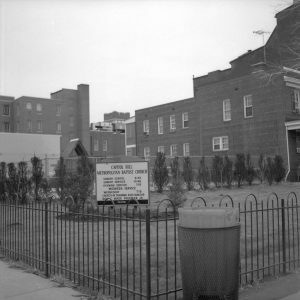 Where Anyabwile focused on the native D.C. population, Kwon’s plant attracted mostly young professionals from a variety of racial backgrounds, especially at first. The church has also formed ministries with “a high degree of emphasis on building relationships.” Members work with youth at a local rec center, tutor students, lead Bible studies, and coach sports. For example, Kwon always slows, makes eye contact with, and greets his elderly neighbors. He lingers with his family on the porch or front yard, making himself available for conversation. He asks for the stories of the neighborhood. That’s the type of new neighbor Kelsey wants for his elderly grandmother. But the effort can be difficult even if you’re a longtime resident. It’s harder if you’re new. And it’s even harder if you don’t plan to stay around. McLean Bible has sought to build partnerships with established D.C. churches as well as financially support D.C. church planters. At Grace Downtown, where the motto is “in and for the city,” history professor George Musgrove spoke recently on D.C.’s racial history to help the church understand its context. And CHBC created an entire Sunday school course on neighboring. That’s true whether a church ministers to everyone in their neighborhood, actively wrestles with gentrification, or follows those leaving to their new location. But What About Black-on-Black Crime?